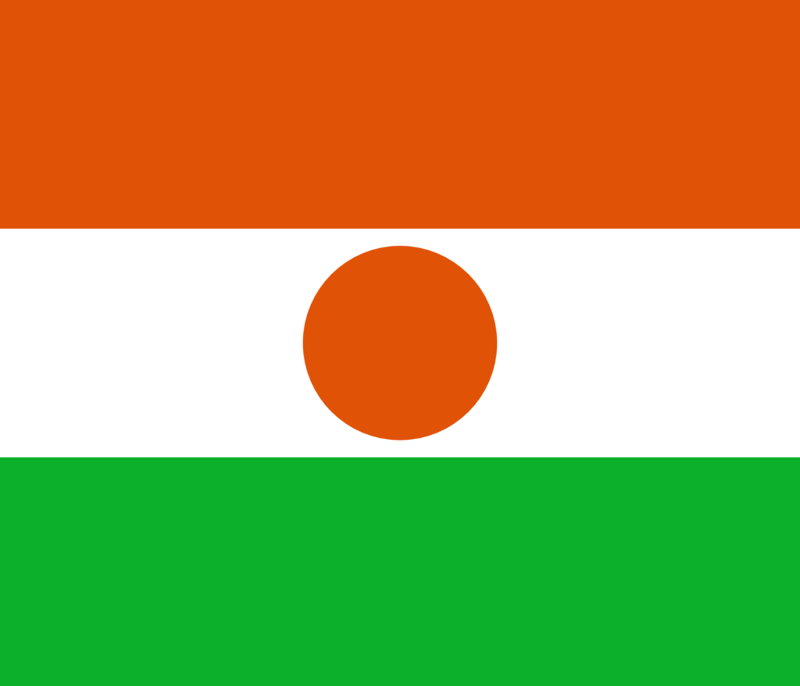 The Flag of Niger has been the national symbol of the West African Republic of Niger since 1959, a year prior to its formal independence from France. It uses the national colors of orange, white and green, in equal horizontal bands, with an orange rondel in the center. The flag forms one of the official national symbols of the Republic of Niger, with the coat of arms of Niger, the National Anthem (“la Nigérienne”), the crest (used in the center of the coat of arms), and the motto: “Fraternité, Travail, Progrès”. These form Article 1 of the first part of the 1999 Constitution of Niger. The flag is similar to the Flag of India, although the ratio, shade of orange, and symbol in the center differ.